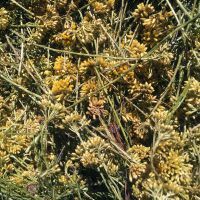 Thyme thuyanol is one of the success stories of the passionate distillers of Provence. It is mild but possesses basically all the therapeutic strength of the more aggressive, phenolic Thymes. This chemotype displays a broad spectrum of activity against many infectious conditions. According to data published in "l'aromatherapie exactement" it is effective for Chlamydia infections. There is also research demonstrating that this oil stimulates the regeneration of liver cells. Also used for treatment of depressions due to fatigue. Like all other Thyme oils, the thujanol type is highly effective against viral pathogens. What makes this oil special is its mild character. For those comfortable ingesting essential oils, it is the choice of the Thyme oils as it does not irritate nor does it produce aversion. The oil is also perfectly suited to be integrated into base oils and to be used topically in this form. 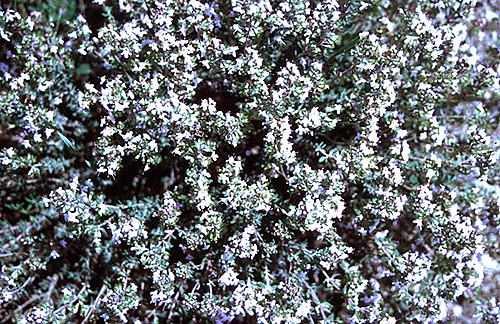 Currently, we feature a Provencale cultivar which is classic Thyme thuyanol as you know it.